EXCLUSIVE A British campaign to save the historic personal archive of photography inventor William Henry Fox Talbot has been thrown a lifeline and led to the unveiling of u2018previously unknownu2019 works. Oxford University’s Bodleian Libraries, which eight months ago launched an appeal for funds to acquire the collection, has won a £200,000 donation from the Art Fund and a crucial year-long deadline extension. The project aims to secure the archive as a future resource for photo-history scholars, artists, photographers and the general public. Campaigners launched the appeal last December, explaining that the collection had been transferred to a dealer in New York with a view to selling it on the family’s behalf. The news means campaigners must raise the remaining £375,000 of the £2.25 million target by August 2014 to ensure it remains the UK. They had already secured £1.2m from the National Heritage Memorial Fund but were faced with having to raise a further £1m. It seemed the project was doomed when the required funds failed to materialise and the original deadline expired at the end of February. Around half a million pounds has since been sourced from private donations and charitable trusts. In a fresh twist, the appeal has led to the inadvertent discovery of 42 ‘previously unknown’ early photogenic drawings by Fox Talbot. The finds – revealed by the photographer’s great-great grandson when he heard about the appeal – are set to bolster an archive that already includes precious portraits of Fox Talbot and his family, along with his original manuscripts. Art Fund director Stephen Deuchar said: ‘We are delighted to be supporting the Bodleian Libraries’ aims to acquire a major archive of works by British inventor and photographer William Henry Fox Talbot. The archive is the ‘only significant Talbot collection remaining in private hands,’ according to the university. Welcoming the news, the Bodleian’s deputy librarian Richard Ovenden described the collection as an ‘essential resource’, and stressed that every donation helps towards the target figure. The collection also includes the work of Fox Talbot’s contemporaries who shared with him their attempts at early photography, plus artifacts from the Lacock Abbey estate in Wiltshire where he lived at the time of the publication of his invention in 1839. Other subjects include a tiger, from an engraving, and a breakfast table. Campaigners point to the photographer’s strong links with Oxford, saying the archive includes some of the first pictures of the city. The treasures are also said to shed light on Fox Talbot’s life as an MP and his interests which ranged from science to ancient languages. Among those supporting the project are the artist David Hockney, renowned photographer Martin Parr and Michael Pritchard, director general of the Royal Photographic Society. 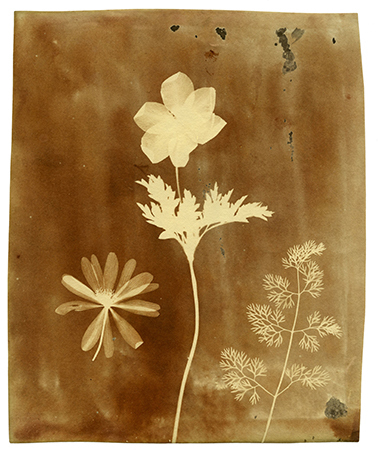 The Bodleian Libraries is planning to stage a major exhibition of the Fox Talbot archive in 2017.